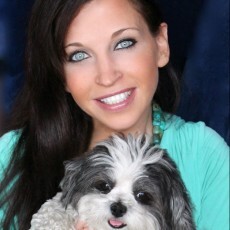 Wendy Diamond, founder of Animal Fair Media and best-selling author of the new book “How to Train Your Boss to Rollover“, is inviting you to attend the Bark Business Breakfast Tour Benefiting K9s For Warriors on July 24th in Nashville, TN. Please Support K9s For Warriors & Save a Dog, Save a Veteran! Help save the nearly 30 percent of the 2.3 million veterans who are affected by Post Traumatic Stress Disorder (PTSD), by supporting K9′s For Warriors at the Bark Business Breakfast Benefit. The K9’s For Warriors program heroically rescues dogs from shelters prior to being euthanized and pairs them with a veteran with PTSD. You will be honored with the invaluable gift of saving two lives through your support. The event will be adorable (yes, everyone can bring their dogs!) and Melissa, a K9s For Warriors graduate veteran and her service dog Chauncey, will be honored during this benefit as well! Every 65 minutes, a veteran commits suicide due to PTSD. This horrible disorder is an epidemic among the 2.3 million veterans in the U.S., as many as 184 new cases are diagnosed every single day! This is an alarming statistic, but studies show dogs can be very therapeutic and greatly beneficial in the treatment of PTSD as well as other military-related stresses. This is where the generous K9’s For Warriors program comes to the rescue! After it heroically saves dogs from shelters and transports them back to the program’s facility, it gives the dogs a complete physical, making sure they are in perfect health, and trains them to meet CGC (Canine Good Citizen) standards. Upon completion, each dog is paired with a veteran with PTSD or a Traumatic Brain Injury based on the veteran’s special needs and the special tasks the dog is most capable of performing. In this valiant effort, the program costs approximately $10,000 to graduate one veteran/canine team from the time the dog is rescued, which includes housing, feeding and training with his veteran for three weeks. Each sad tail can end in true happiness, and that’s what we’re begging for at the BARK BUSINESS BREAKFAST BENEFIT! RESERVE YOUR SEAT TODAY OR PLEASE DONATE TO THIS WONDERFUL CAUSE! VIP TABLES & FUN EXTRAS ARE AVAILABLE! For tickets or donations, please visit K9s for Warriors.